Michael Bloomberg and Bill Gates announced a joint effort to fight global tobacco epidemic on Wednesday with a joint investment of US$500million. “The joint investment will be used to assist developing countries in implementing policies on tobacco control” said Mark Hurley, International Communications Director Campaign for Tobacco Free Kids, on Wednesday. Hurley said the assistance will provide funding on countries’ effort to increase duty on tobacco, shifting image of smoking, protecting non smokers and helping people to stop smoking. He added that the program will also support education on the dangers of smoking and advocacy for stricter government control. Indonesia’s effort to combat smoking has seemed to be fruitless, despite government’s attempt to increase duty on tobacco, prohibit smoking in public places and tougher control. The number of Indonesian smokers rose from year to year. 63.2 per cent of Indonesian men smoke in 2004 and 4.5 per cent among women, a significant rise from 1995 of 53.4 per cent among men and 1.7 per cent among women. 78.1 per cent started before the age of 19. Rama Ahmad Kertamukti, a Jogjakarta-based Advertising Analyst wrote on his report that part of government’s failure to combat smoking in Indonesia is the loose regulation on cigarette advertising. “Tobacco companies today are hypocritical, they claim to have programs on youth smoking prevention but still they advertise on public spaces and sponsor events where youths are exposed to” he explained. He added that one of the most likely places where youths are exposed is in the streets where Indonesia’s billboards are filled with cigarette advertising. 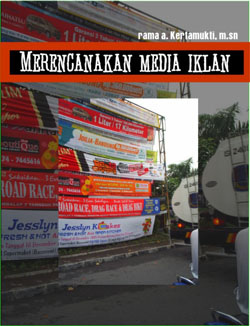 He claimed that almost 50 per cent of billboards in Indonesia are cigarette advertisings. Another place he exemplified is in music concerts and sporting events where youths are sure to attend or participate. These events draws crowd of mix demographics with youth being a significant part. Jakarta’s regulation to prohibit smoking on public places is also relaxed. People smoking on major streets like Sudirman and Thamrin and public places like schools and shopping malls are still abundant with no fear of prosecution.